I have always been very interested in the late Georgian/Regency periods of English history. My reading showed that sherry was a popular beverage of the time, and one of the few stronger beverages that it was socially acceptable for a lady to enjoy. A recent tasting event that I had the privilege to attend led me to read up on the history of sherry, and what a history it has! A rich and complex subject, I would like to give a general overview. The roots of sherry go back three thousand years in Spain, where it appears that the Phoenicians brought vines and the knowledge of wine making. The city of Jerez, a key area for the production of sherry, was established by the Phoenicians as Xera. 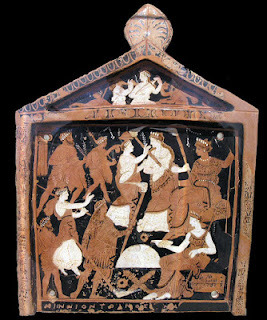 Other cultures contributed to the development of this wine and it was imported to Rome. 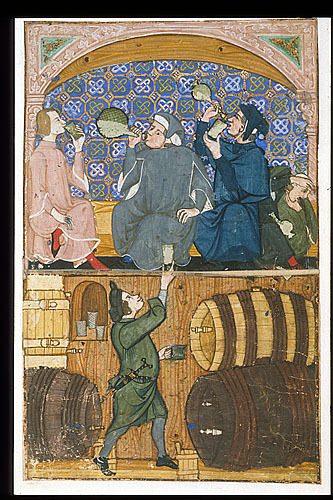 When the Moors occupied Spain in the 8th century, despite the Muslim prohibition against the consumption of alcohol, they continued the cultivation of grapes for the production of wine for medicinal purposes and for raisins. The area was reclaimed in 1264 by King Alfonso X of Castile, and the wine industry continued under a reward system that affected who could grow what and where. Guild regulations controlled how long wine could be held (aged). From Spain, the wine traveled widely. Sherry was on ship with Christopher Columbus and Ferdinand Magellan on their voyages of discovery. Thanks to pirate raids, which led to the sale of sherry elsewhere, it became popular in other areas, especially England. It was already being traded in England during the 12th century. Then known as sack or Sherish (another reference to Jerez), this wine was known in the Tudor court. Catherine of Aragon mentioned her husband the King keeping the best wines of the Canaries and Sherish for himself. It was a favourite of Shakespeare and Ben Jonson, who drank multiple bottles per day. When Sir Francis Drake seized thousands of barrels of sherry in 1587, this wine became extremely fashionable at court, which led to increased demand. Guild restrictions at this time prohibited aging of wines, which meant that the sherry of this time was essentially a very young white wine that required the addition of alcohol for preservation, resulting in what is called a fortified wine. This wine traveled well, and was commonly taken on long voyages. Of course, wars during this period also caused complications. Delays caused some wine to sit, which resulted in oxidation, intensifying flavours and adding other nuances. In turn, newer sherries were mixed with older, more oxidized wines which also changed the character. Taste for the sweeter, stronger wines led to the addition of brandy to the mix. An attack on the area of Cadiz (near Jerez) having failed, numerous business men from England, Ireland and other places, set up businesses in Spain in the 17th – 19th centuries, to be sure of obtaining the desired quantities of wines. 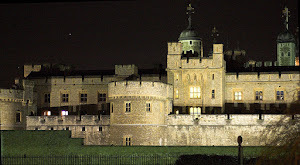 Names such as Sandeman, Harvey, Osborne and others were established at that time. The Peninsular Wars (part of the Napoleonic Wars) in the early 19th century, caused havoc as France attacked and even occupied the area around Jerez. Vines were destroyed and wines were stolen. However, the area rebounded again. 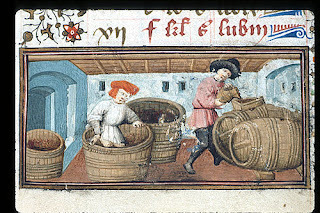 Because of the conflict and difficulties, sales slowed and wine sat in casks, which led to an unintended oxidation and a concentration of flavour. It is time to stop for a moment to consider the process of making sherry and the final product. True sherry was, and is, made only in Andalusia, in southwestern Spain. The process has literally evolved over centuries, and has adapted as rules and tastes change. A white wine is produced from two main varieties of grapes: the Palomino and Pedro Ximenez (a sweet grape). After fermentation, alcohol (originally a distilled grape liquor, subsequently a neutral brandy) is added, which increases the alcoholic content. Traditionally, sherry was quite dry, but it could be sweetened (and frequently was) with other additives ranging from sweet grape juice to sugar. 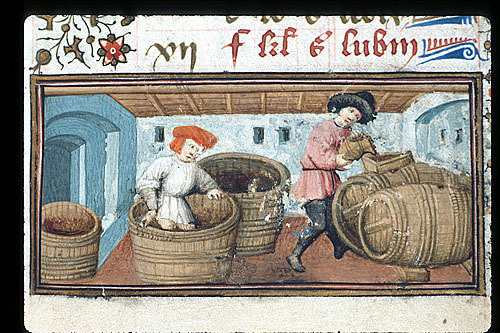 (Adding sugar to sweeten wine goes back to the Romans). As time and changes in the guild rules and procedures occurred, more variations in flavour came forth. New wines were, and are still, blended with older ones in a process called Solera. The different types of sherry produced are Manzanilla and Fino (both dry), Amontillado and Oloroso (dry to medium-dry), and cream (sweet). A key issue that gives sherry its character is the fact that air is deliberately let into the barrels to cause oxidation. According to WINDOWS ON THE WORLD COMPLETE WINE COURSE by Kevin Zraly, letting air in not only causes the required oxidation, it results in a loss of about 3% per day to evaporation, which he called “The Angel’s share”. (p. 158). (Although tastes were leaning toward the sweeter wines, like port and madeira, I suspect the sherry of the late Georgian/Regency era may have been a somewhat drier style, but there is no way to be sure.) In the 19th century, the guild was abolished which allowed for storage and aging of wines, which led to other modifications that changed the wine over time to the wide range of types we can now enjoy. Sherry was very popular during the Victorian era, and continued to be a favoured beverage into the 20th century. However, many people think of sherry in terms of the very sweet cream sherry, not knowing that there is a wide range of choice. Because of the sweetness of cream sherry, many consider sherry as specifically a dessert wine. However, certain varieties (especially the dry) are delicious with savory food. Serving sherry is interesting as well. I did not find a reference to a specific “sherry glass” prior to the Victorian era. It is worth noting that wine glasses were smaller in earlier times. I have some antique wine glasses that hold only three to four ounces, which is considerably smaller than modern wine glasses. Sherry glasses seem to have become popular during the mid-Victorian era. I have three different types of glasses (see photo). Despite their different shapes, each only holds about two ounces. It seems possible that the slightly smaller shape became popular for sherry due to its being a fortified, and somewhat stronger, wine. However, there is no requirement for using a special sherry glass-sherry can be enjoyed in a regular wine glass. (Although I do believe that the special glass adds to the experience!) Although the sherry we enjoy today may not be exactly the same as that consumed in earlier times, it can provide a sort of shared experience, a touch of elegance and an idea of something in which someone of a previous era indulged. Zraly, Kevin. WINDOWS ON THE WORLD COMPLETE WINE COURSE. New York: Sterling Publishing Co. 2002. Photo of sherry glasses taken by the author. Lauren Gilbert lives in Florida with her husband. Her first book, HEYERWOOD A Novel, was released in 2011, while her second novel, A RATIONAL ATTACHMENT, is in process. Lauren is a long-time member of the Jane Austen Society of North America. She does enjoy the occasional glass of sherry (medium dry). Visit her website here for more information. Born and raised in the Republic of Ireland into the family of Michael Collins (the legendary revolutionary and founder of the Irish Free State), she now lives in northwest England with her husband, daughter and a Facebook-friendly dog. As well as blogging and editing for EHFA, she is a contributing editor to International Thriller Writers The Big Thrill magazine, reviews fiction & non-fiction for the Historical Novel Society and is part of the HNS Social Media Team. Find out more by visiting www.empowell.com. I paid my first visit to Sixth Century Britain almost fifty years ago. 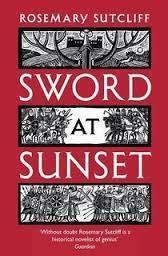 It was Rosemary Sutcliff’s fault, since it was through the pages of A Sword at Sunset that my juvenile “King Arthur’s Round Table” image of the so-called Dark Ages first began to dissolve – the idea dawning that a more “realistic” portrayal of the period may be possible. Soon afterwards, I became an avid reader of Mary Stewart’s Crystal Cave and the subsequent novels in that series. 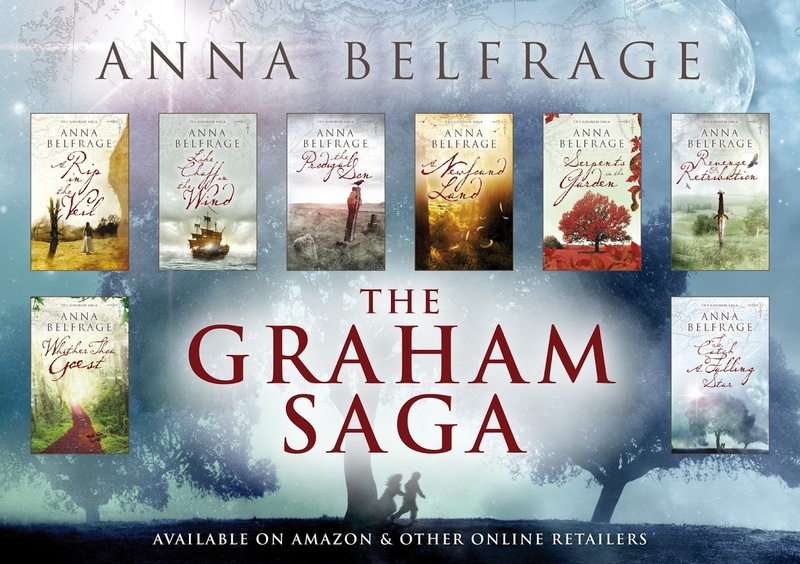 Brilliant historical fiction! But I was troubled. Something about the language. Silly things. Like Mary Stewart’s place names - Dinas Emrys, and Maridunum, as examples. Sutcliff’s use of Yr Widdfa and Eburacum. 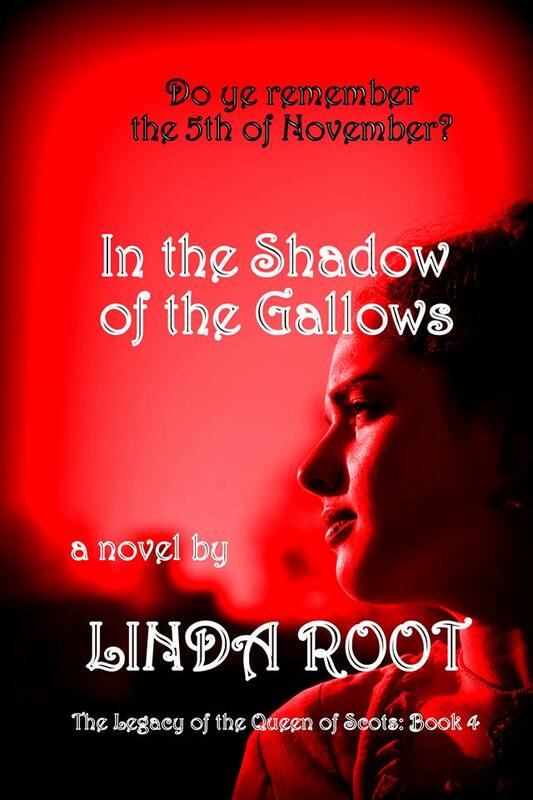 Lots of other novels based in the period that use names such as Gwynedd or Guenhumara. 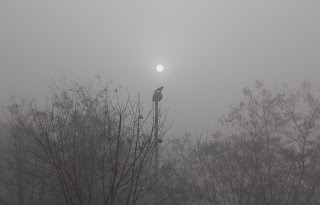 And, because I have a love of languages and etymology, I began to think the unthinkable. Why would authors writing in modern English use pseudo-Welsh or Latin words for places or people and, in doing so, lose the specific descriptive images that the contemporary “Ancient Welsh” Brythonic language(s) would have conjured up? And I was troubled by many other things too. So I picked up histories like Laing’s Celtic Britain and The Celtic Realms by Dillon and Chadwick, to find out more. Astonishment. It seemed that those beautiful Celtic manuscript illuminations may not, after all, have been the original invention of some highly creative solitary monk on Iona, but borrowed from a much earlier indigenous literacy; that Romano-Britons probably did know one end of a stylus from the other, and had not simply committed to prodigious memory all of their records in some exaggerated “oral tradition”; that the early Dark Ages may be so-named due to Romano-British documentation being lost to us, rather than never having existed; and that “Arthur” may be no more than the imaginative product of some medieval Tolkien. These things continued to intrigue me, on and off, over the intervening years but I did little about it until circumstance recently caused me to look again at the years we would now call 540-550 AD. Most of Britain had been occupied by the Roman Empire for a period of roughly 400 years. In the aftermath, how much of Roman administrative culture survived, and how much broke down through local warlords carving out their own domains? We don’t know. And how much did people continue to live as they had done under Roman rule? We don’t know that either but, contrary to some of the “old” history, we can now see, archaeologically, that towns like Canterbury, Cirencester, Chester, Gloucester, Winchester, Wroxeter – and presumably many more – continued to be developed, with new-build taking place, well into the Sixth Century and beyond. Meanwhile, we can be reasonably certain that, from the Third Century onwards, there had been increasing numbers of continental migrants settling mainly in the south and east of the Britannia provinces. We speculate that some of these may simply have been auxiliaries in the Roman army. Or that they were mercenaries, foederati, employed to fight in the various conflicts that beset the period. Or that they were simply economic migrants – Angles, Saxons and Jutes. This is often portrayed as an “invasion”, but there’s little hard evidence for this. Battles are cited. Dates given. Yet all the sources are questionable, to say the least. The documents normally taken as “primary sources” for this period are: the De Excidio et Conquestu Britanniae of Gildas, originally written, we think, in the early Sixth Century; Saint Bede’s Historia Ecclesiastica (The Ecclesiastical History of the English People), written about two hundred years later; the Historia Brittonum, compiled by some anonymous editor we now know as “Nennius”, also allegedly from the Ninth Century, though the actual manuscripts are much later; the so-called Harleian genealogies, the British Library’s Manuscript 3859, itself dating from the Twelfth Century; the Annales Cambriae (The Annals of Wales) with the earliest copy dating from the Twelfth Century; and such Irish documents as the Annals of Tigernach. And then there are even later literary manuscripts – those that are now frequently described as The Four Ancient Books of Wales, priceless as historical artefacts but entirely unreliable as historical sources for the period. That sounds like plenty of resource, yet there are very few who would be brave enough to claim these as providing the same level of “evidence” as we might expect for almost any other period of history. 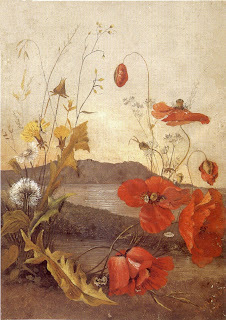 Only the De Excidio is contemporary and, after that, we have maybe five or six documents, scattered over the next 600 years and subject to all manner of copying errors, fashion and culture changes, political and religious tampering, literary adaptation, or simple grapevine misinterpretation. For those writing about the early Anglo-Saxon era of the late Sixth Century onwards, all of the manuscripts detailed above may provide something upon which to bite. But for those writing about the hundred preceding years, and about the very uncertain fate of the Romano-British population, they hold little of real value. So, what “new” details of the period did I discover? Like almost everything else relating to 6th Century Britain, the extent to which Western Europe was afflicted by famines through an “Extreme Weather Event” of circa 535 AD is disputed. I was satisfied, however, that such a natural catastrophe had actually taken place, bringing widespread starvation in its wake. Similarly, I was satisfied that it was within the boundaries of possibility that Britain was struck by an outbreak of bubonic plague during the period. Procopius and other contemporaries record the plague as devastating Constantinople in 542 AD and then spreading both east and west. 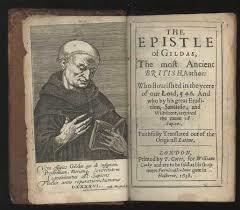 Gildas refers to the pestilence in Britain in the same era, though without dating the attack. 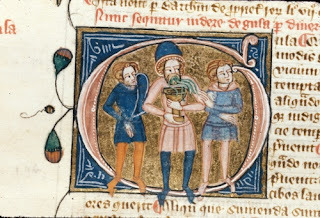 The documents now known as Annales Cambriae and the Annals of Tigernach record “a great mortality” – believed to be the same plague – hitting Ireland and Wales at this time. The third uncertainty I faced was the extent to which Rome’s occupation of Britain had left a legacy that still endured more than a hundred years after the Legions had marched away. The archaeological evidence shows that sites like Wroxeter, Chester and Birdoswald were not only still occupied as towns in the mid-Sixth Century but were also subject to the new-build developments I mentioned earlier. But it was the road system that intrigued me. We all know that the Romans built a sophisticated network of highways and byways across Britain, as they did everywhere within the Empire. So I concluded that the roads in question were likely to have still been very much in use. We are blessed that history has left us the Antonine Itinerary, which describes the Empire’s roads in great detail, including their lengths and distances between way-stations, or mansios. The Iter Britanniarum covers Britain’s section of the network, with a different itinerary for each of fifteen major routes. So, Itinerary XII, for example, covers the journey from Carmarthen to Wroxeter. In truth, we have no real idea what most locations were called at all in Sixth Century Britain. We can speculate, using those names the Romans adopted from what they thought the locals called them, or by looking back retrospectively from accounts and stories written down only hundreds of years later. But there can be no certainty about any of this without some major new archaeological discovery and research and I still pray that Time Team, or the inestimable Mary Beard, may one day devote time to helping us re-discover the period. Similarly, we know almost nothing about individuals who lived in Britain during the 6th Century. The same accounts and stories written down hundreds of years later leave us a patchwork of “names” that, on closer inspection, turn out to be, far more likely, titles or praise names, simple shadows, which may never have been anything more, in the first place, than folk-tale characters. My favourite, of course, is Gwenhwyfar – the character we all know as Guenivere or Guenhumara. But even a cursory examination will show us that Gwenhwyfar may not originally have been a name at all, but a title, or description. It means White Enchantress, or similar, and explains why there are so many apparently confusing legends with multiple characters all called Gwenhwyfar. Similarly, there are characters like Peredur (Hard-Spear), Vortigern (High Lord), Vortepor (Lord Protector) and scores of others – perhaps not actual names at all, but maybe praise names or self-styled titles. 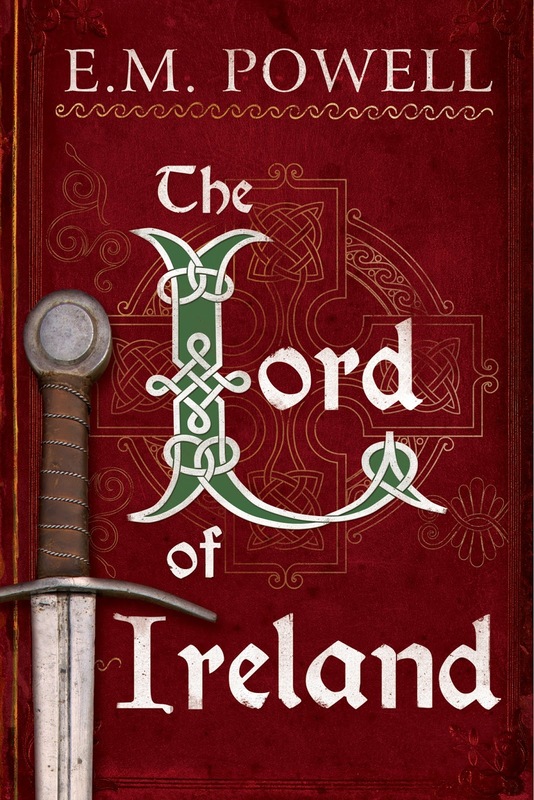 And, still on language, I remained intrigued by the lack of primary sources for the period from a “Celtic” viewpoint, and the old myth that indigenous Britons must have only kept their lore, traditions and genealogies orally. Yet there are literally hundreds of inscriptions, revealed by archaeology, dating from around 500 BC onwards, in their own Celtic languages, though using Etruscan, Greek or Latin alphabets. These include entire poems, such as that found in 1887 at Deux-Sèvres – a hymn to the goddess Epona. So, literate Celtic Britons, who then lived alongside the literacy of the Mediterranean world for 400 years, and it seemed entirely inconsistent to me that Romano-Britons should have written no texts on their own history, philosophy and beliefs. And is it pure coincidence that the only fragments of Celtic language texts from the 6th Century are Christian documents, such as the famous An Cathach, attributed to St Columba? Peter Berresford Ellis, in his excellent study, A Brief History of the Celts, provides an entire chapter on Celtic literacy, and cites the references which imply that Saint Patrick, “in his missionary zeal”, burned hundreds of non-Christian texts. If true, then how widespread was the practice of Christians burning “pagan” texts? All of which brings me back to the only contemporary primary written source for those studying Fifth and early-Sixth Century Britain. This is the text by Gildas called De Excidio et Conquestu Britanniae. 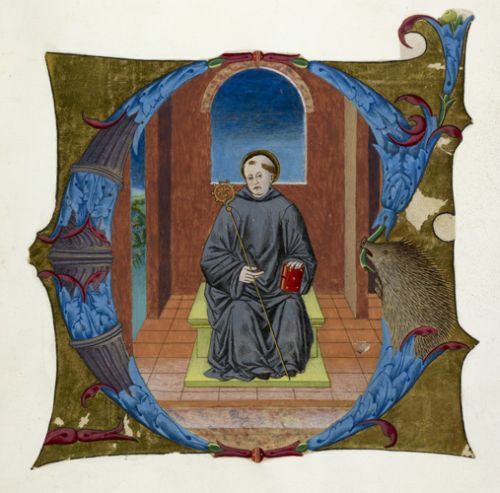 Gildas, a Welsh-Breton priest, apparently wrote one hundred and ten historical chapters and admonitions, upon which Bede drew heavily almost two hundred years later – although the oldest actual manuscript of the De Excidio dates from the Eleventh Century. For students of the Dark Ages it’s still invaluable although, over the last hundred years, a growing body of academics and researchers have questioned the authenticity of the work and, at times, whether Gildas was even the author’s real name. My conclusion, of course, is that the period between 500 AD and 600 AD is effectively a “lost century” in British history. But at least we know with more certainty what happened next. The Anglo-Saxon Chronicles and other sources confirm the way in which Angles, Saxons and Jutes consolidated territory into the Kingdoms of Northumbria (most of what we now know as northern England), Mercia, Anglia, Wessex, Essex, Sussex and Kent, with the more specifically “Celtic” folk confined to the Southwest, Wales, Cumbria and the lands north of Hadrian’s Wall. According to the Chronicles, there were one or two more battles in the period, like that at Deorham around 577 AD. But all of the foregoing contrived to give me a series of intriguing premises. What if, indeed, there was no “Arthur” – simply post-Roman warlord rivalries, filling the political vacuum and collectively inspiring the much later legends? 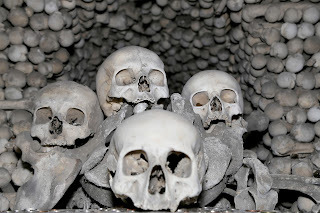 What if the Black Hags appearing so often in Celtic mythology were actually the outward symptoms of plague? What if post-Roman Britons were also devastated by the effects of the Extreme Weather Event? What if the “invasions” by Angles, Saxons and Jutes were no more than economic migrations by which those folk, for the most part, were simply the Sixth Century’s answer to labour and skills shortage? What if most of what we’ve been taught about the period comes down to us simply from propaganda aimed essentially at further boosting the development of Christianity in Britain? What if (the corollary), for the same reason, the true record of Romano-British culture and philosophy had to be deliberately expunged? And what if these things, together, conspired to “steal” Britain’s Sixth Century from us? David Ebsworth is the pen name of writer, Dave McCall, a former negotiator and Regional Secretary for Britain's Transport & General Workers’ Union. He was born in Liverpool (UK) but has lived in Wrexham, North Wales, with his wife, Ann, since 1981. 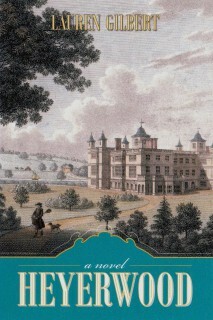 Following his retirement, Dave began to write historical fiction in 2009. 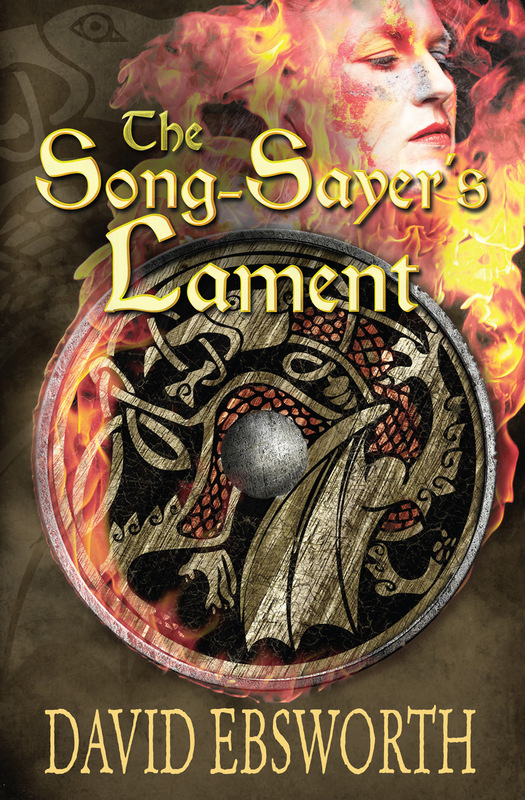 His latest and fifth novel, The Song-Sayer's Lament - published earlier this year - brings to life a tale of warlord rivalry, betrayal, plague, heartbreak and famine in a detailed re-imagining of post-Roman 6th Century Britain. 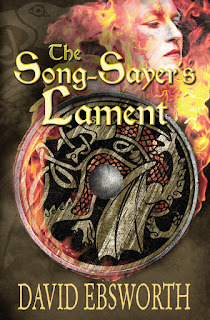 David Ebsworth has a new release, The Song-Sayer's Lament: A Novel of Sixth-Century Britain. 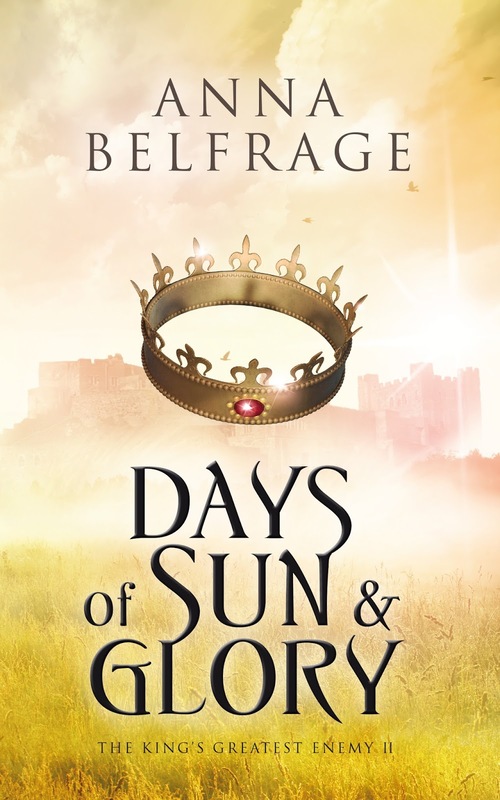 To celebrate, he is having a Giveaway of a paperback copy here on EHFA. The Giveaway ends at midnight Pacific Standard Time on Sunday July 3 2016. To see some more information about the book, please click HERE. 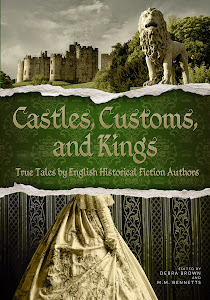 The English Historical Fiction Authors blog has also been running a Giveaway this week. 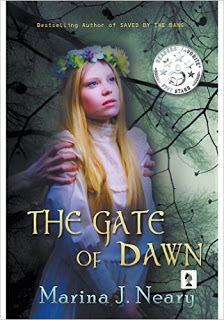 Marina J. Neary is giving away a signed paperback of The Gate of Dawn. You can find the details below. Entries are open until Midnight (Pacific Time), Sunday June 26 2016. Some people are born with a major interest in flowers and such. Take my eldest son, who at the tender age of fourteen months methodically chomped his way through every single one of my hundred odd tulips, leaving half chewed petals in his wake. 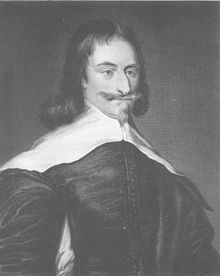 Or take Nicholas Culpeper, whose interest in flora was somewhat more scientific. 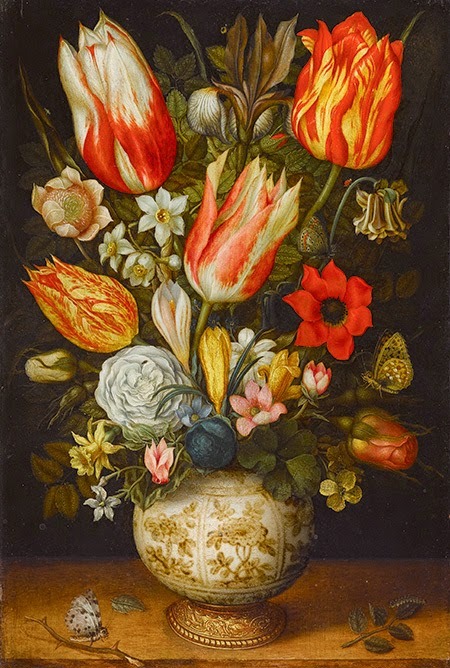 I don’t think he ever ate a tulip – but that may have been more out of parsimony than disinclination, as tulips were rare plants indeed during Nicholas’ lifetime. My son no longer remembers what tulips tasted like, and seeing as these plants – or at least their bulbs – are mildly poisonous, he was never given an opportunity to repeat his gastronomical excursions. 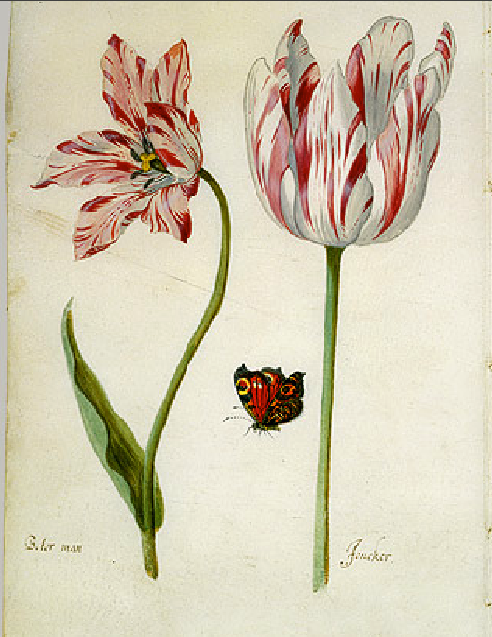 Culpeper tells us nothing of the tulip in his writings. I guess we can conclude that Culpeper wasn’t all that interested in flowers that were “merely” beautiful. There are very few authors around who can boast at having their book in constant publication for more than 350 years. Obviously, this is to some extent due to the fact that very few authors live long enough to experience such a long print run, but leaving witticisms aside, Nicholas Culpeper is one of the few authors around whose book has been in constant demand since it was first published, back in 1652. So what was so great about his book? Did he reveal the secrets of alchemy? Was he perhaps an early George R.R. Martin, riveting people to their seats by a complex and convoluted tale involving dragons, feuding kings and resilient damsels? Nope – although Nicholas’ own life contained enough adventure to fill a book or two, what with the times he lived in. 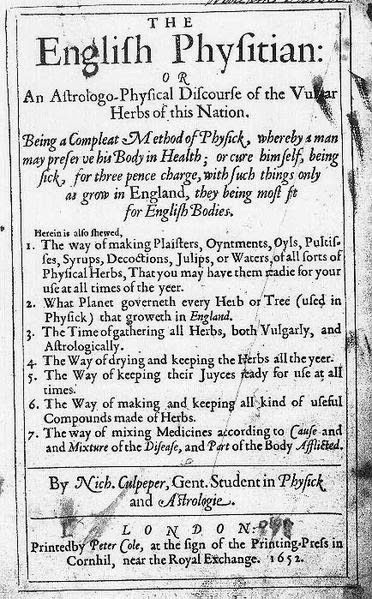 But what Nicholas experienced in life resulted in an entirely different kind of book; Nicholas published an herbal, The English Physitian, a DIY manual to keeping hale and hearty in a time where what medicines were to be found came from plants. If we start at the beginning, Nicholas was born in 1616, the posthumous son of Reverend Nicholas Culpeper, lord of Ockley manor in Surrey. The manor slipped through baby Nicholas’ fingers, and instead he was raised by his maternal grandfather, yet another reverend. By the time he was ten, little Nicholas had a good grounding in Greek and Latin, was familiar with both astrology and medical tracts and was well on his way to becoming a master herbalist. One must assume this passion for plants came from his grandfather, and I have this image of two figures, one stout and leaning on a cane, the other agile and all legs and arms, standing side by side as they inspect a stand of digitalis. At the age of sixteen, Nicholas was sent to Cambridge to study divinities. He wasn’t all that interested – he wanted to study medicine – and as a consequence he never graduated. Besides, Nicholas had other plans. Since childhood, he had held a special fondness for Judith Rivers, a well-to-do heiress, and the two young lovers were committed to a life together. Judith’s parents disapproved. Nicholas was not a catch, and their precious Judith could do better. I imagine Judith wept. She trailed her mother like a whipped puppy and begged her parents to reconsider – she loved Nicholas, would love no other. Mr and Mrs Rivers remained unmoved. Judith was meant for other, richer, men. Well, we all know what teenage fools do for love, right? Faced with her parents’ continued opposition, Judith and Nicholas devised a plan. They were to elope to Holland (Gretna Green had not come into the vogue yet) and stay there until the furore died down. As an aside, parental consent was not required for marriage in the 17th century, but to wed without Mama’s and Papa’s approval was to risk ending up being disinherited. I suppose Judith was hoping that old adage “distance makes the heart grow fonder” would apply to her parents as well. Whatever the case, Judith and Nicholas were not destined for a happily ever after. On her way to her rendezvous with Nicholas, Judith’s carriage was struck by lightning, and she died. 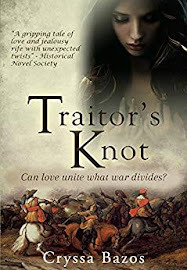 With one bolt of thunder, Nicholas’ hopes of a rosy future were obliterated – even more so when his grandfather decided to disinherit him, so shamed was he by Nicholas’ actions. Nicholas was now in dire straits. There was no money to pay for his education, there was no bride, no welcoming home. After rousing himself from grief-induced depression, Nicholas apprenticed himself to an apothecary in London. He taught his employer Latin, his employer taught Nicholas everything he knew about plants. In 1635, Nicholas took over his former master’s apothecary shop on Threadneedle Street. Due to his extensive reading and an inquisitive mind, Culpeper’s education was as extensive as that of a physician - but it was an informal education, and as such of very little value professionally. To his medical interests, Culpeper added astrology, blending these two disciplines into a holistic approach to healing. The Royal College of Physicians was not pleased with this interloper. 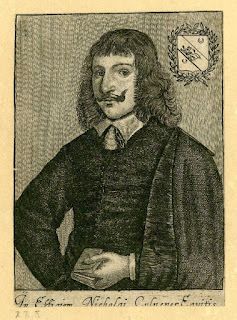 Nicholas Culpeper retaliated by describing the physicians as “bloodsuckers, true vampires” – not the basis for a long-lasting loving relationship. Most of Nicholas cures were based on herbs. Some were true advancements in medical science, as when he documents the use of foxgloves to treat heart conditions (definitely works. The dosage, however, is somewhat tricky, and if too high will kill your patient). Some sound decidedly strange, such as boiling your bedstraw in oil to make an aphrodisiac. Otherwise, he shares that willow can be used to stem the bleeding of wounds, roses can alleviate the discomfort of menses , raspberries and strawberries are excellent ways of ridding your teeth of “tartarous concretions” (plaque?). The seeds of nettles can be used against the bites of rabid dogs (I think not), meadow-sweet is recommended against fevers (works, as meadow-sweet contains high doses of salicylic acid) and flea-bane helps with bites from venomous beasts. Hmm. My general conclusion after browsing through Nicholas’ suggested cures is to take them with a pinch of salt – and to make sure I have a herbal with me to ensure I’m picking the right plant! Our innovative healer did more than just list plants. He combined his herbal lore with his other passion, astrology, and borrowed heavily from Galen’s humoral philosophy, which is why in his herbal the plants are sorted by planets. Some belong to Venus, others to Mars and yet others to Saturn or Jupiter. He adds to all this his own comments – like when he dismisses black currants as having a “stinking and somewhat loathing savour”, thereby dismissing a plant we know to contain very high levels of vitamin C as well as a number of anti-inflammatory agents. Nicholas kissed his wife goodbye, may have stooped over a cradle to coo at one of the many children his wife was to give him – puny little things that all but one died young – and rode off to fight for Parliament. The recruiting officer was less than flattering regarding Nicholas’ physique, but more than impressed when he heard Culpeper’s credentials, and instead of fighting, Nicholas was put to work as a field surgeon. He attended the wounded at the battle of Edgehill, joined in the initial fighting at the battle of Newbury but was quickly called upon to use his medical skills instead. Culpeper was operating on an injured soldier when a stray musket ball wounded him severely in the chest, effectively ending his military ambitions. Back in London, Nicholas returned to treating the poor. His own health was deteriorating rapidly through a combination of too much work, his unhealed injury and tuberculosis. It didn’t help that his children kept on dying, causing both Nicholas and his wife more than their share of grief. On top of this, Nicholas took up a one man crusade against the “closed shop” policies of the Royal College of Physicians and the Society of Apothecaries. This “closed shop” policy was effectively a monopoly, based on the fact that so many of the guidelines to making medicines and treating diseases were only in Latin and only available to a few. Nicholas made it his purpose in life to crush this monopoly. He translated one text after the other, he wrote treatises on diseases, on midwifery, on the properties of plants. 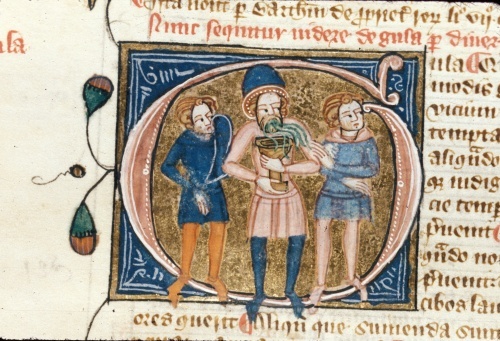 He translated Galen into English, he devoted time to his destitute patients, and in all this he also managed to produce his masterpiece, The English Physitian – a giant handbook on what herbs to use for what diseases. Nicholas Culpeper was an idealist. He was a man who combined compassion and passion into a constant endeavour to help the sick and ailing. 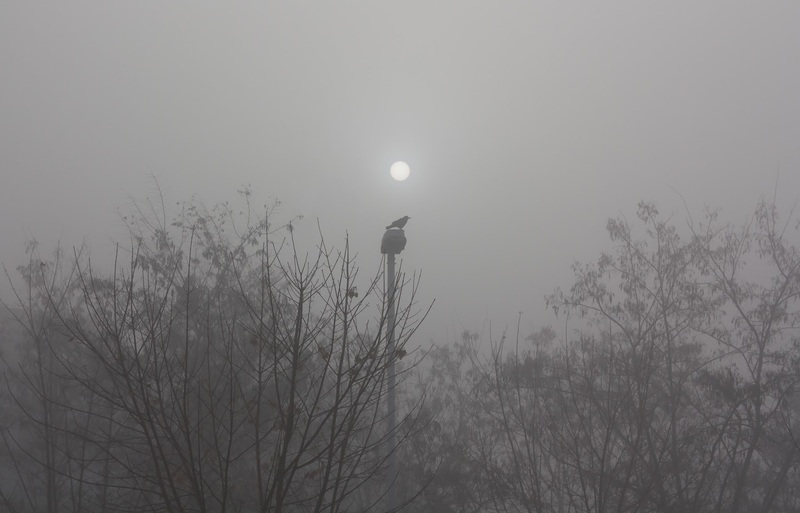 He considered it a human right to have access to medical care – a precursor of the future welfare state – and like Don Quijote he was not afraid to take on an army of windmills while fighting for what he thought was right. In difference to Don Quijote, Culpeper fought using pen and ink rather than lance. And the fact that his book is still there, is still being read, is a testament to his success. The English Physitian quickly became very popular. Housewives all over wanted a copy, and when people set off for the wild unknown of the New World, many of them carried with them a precious copy of Culpeper’s book, hoping to find cures for whatever ills might afflict them in their new homeland within the covers. I think Nicholas would have been pleased. I also think he would have liked my tulips – no matter that they have very few medicinal uses. Editor's Choice: This article was originally published on June 24, 2014. Presently, Anna is hard at work with The King’s Greatest Enemy, a series set in the 1320s featuring Adam de Guirande, his wife Kit, and their adventures and misfortunes in connection with Roger Mortimer’s rise to power. 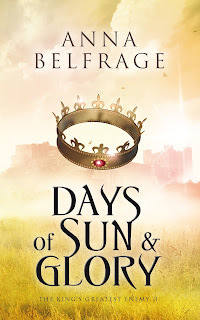 And yes, Hugh Despenser plays a central role.The first book, In The Shadow of the Storm was published in 2015, the second, Days of Sun and Glory, will be published in July 2016. The country estate at Great Harrowden was featured in my recent posts, and is best known as the 17th Century refuge for hunted Jesuit priests and as the home to the amazing recusant heroines Anne Vaux, her sister Eleanor Brooksby, and their redoubtable sister-in-law Eliza Roper, the Dowager Lady Vaux. However, they were not the last formidable women to grace the grounds of the historically important Midland estate which is now an exclusive golf club. In the tradition of the Vaux, the last aristocratic woman to roam the halls of Harrowden was the heir apparent to a foreign throne. She arrived there already well educated and a celebrated beauty. Her family sent her to the exclusive girl’s school operated on the grounds with an eye to polishing her into the image of a proper queen. The move had been encouraged by their advisors. 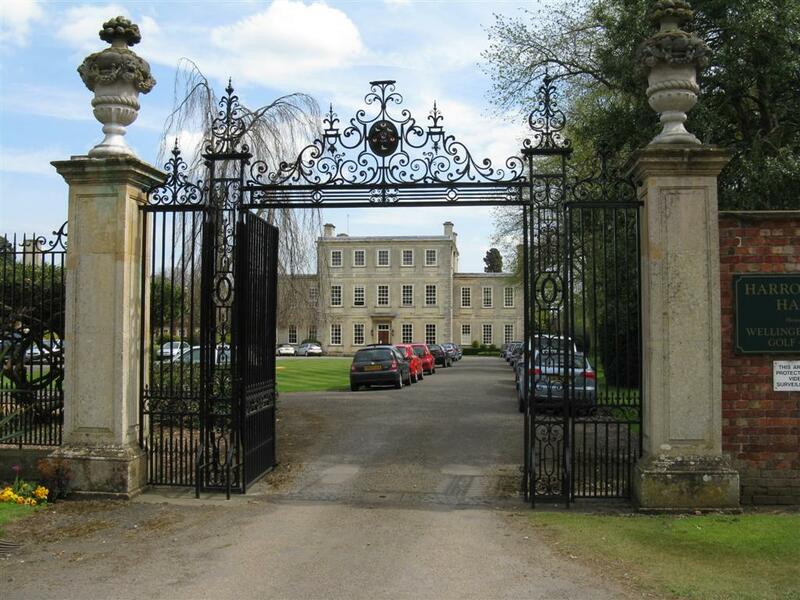 The new student at Harrowden's father was a skilled Scottish businessman and entrepreneur who had married into royalty. Although Scottish on her father’s side, her royal bloodline was from a very different culture. The English at Harrowden called her Vikie, after her namesake Queen Victoria. Her full name was Victoria Kawēkiu Kaʻiulani Lunalilo Kalaninuiahilapalapa Cleghorn. The portrait at the left was painted when she was a student there. 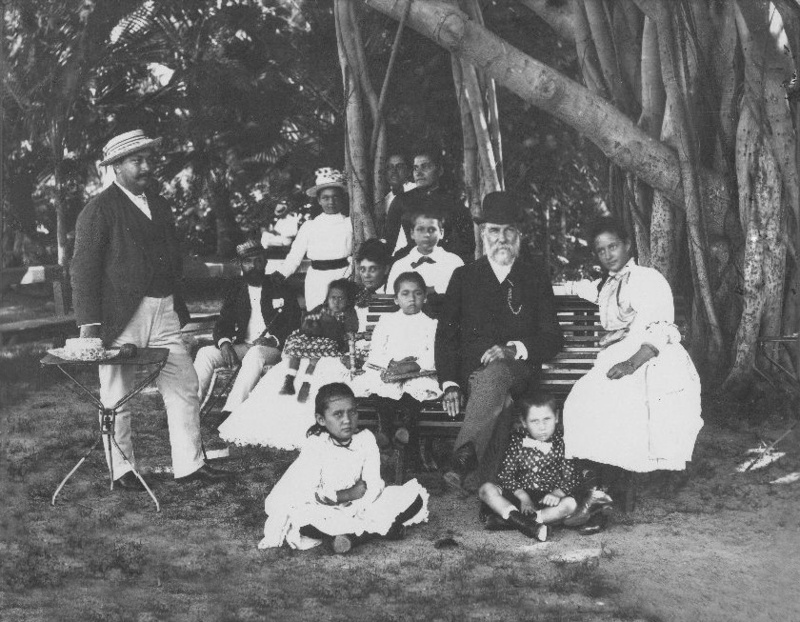 One of 17-year-old Ka'iulani's closest friends was the author of Treasure Island, the Scotsman Robert Lewis Stevenson, who recognized special qualities in the girl. He was not as certain as her family's other British and American friends that a move to his homeland would be good for her. She was close to her family, an accomplished musician, a talented artist and an outstanding equestrienne. Her parents worried when she displayed usual derring-do as a surfer. She was soft-spoken and demure as became Victorian women of her day, but she was also very much Robert Lewis Stevenson's Island Rose. Ka'uilani was the niece of two regnant Hawaiian queens, and her uncle was the last king of Hawaii, all of whom were childless. As the descendent of their sister, the late Princess Likelike, a Governor of Hawaii and a notable composer and musician who died in 1887, the beautiful girl at Harrowden was the last hope of her aristocratic family. 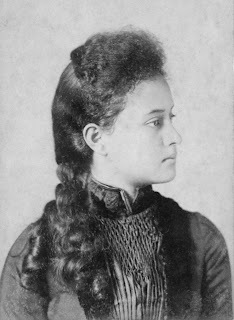 Their aspirations for her and concerns over growing unrest in her homeland had prompted them to take the advice of others and send her to England to be educated. Whatever the motives of her family and their haoli advisors, Ka'iulani's desire to learn the skills necessary to rule a country convinced her to go. To ease the pain of separation, her father Archie Cleghorn let her favorite sister Annie Cleghorn accompany her to England. She left her happy island childhood behind. Her acceptance of her destiny and her intelligence helped her to adjust. Having her half-sister Annie in her presence helped. She did not remain locked away at Harrowden Hall. She traveled to the great cities of Northern Europe and toured Scotland. 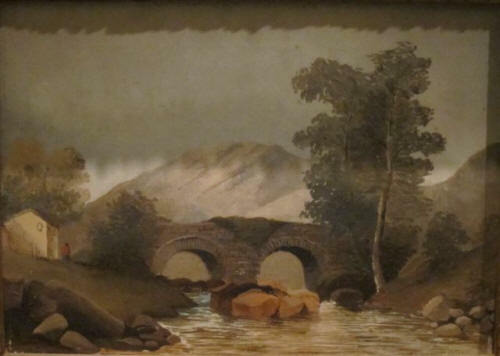 While she was there, she painted a watercolor of a scene possibly near their family friends the McFee's estate, Dreghorn Castle. 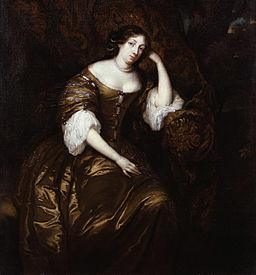 She left Harrowden Hall for Brighton where she received a rigorous education in European languages, especially French, in which she was proficient, and German, in which she was fluent. But from that point on, her story is a sad one. The heroine in our romantic story died young and thus legend has painted her as a tragic young woman displaced from her homeland, who succumbed to homesickness and heartbreak, while glossing over her courage and her contribution to her cultures. Some of her contemporaries said the Scottish climate put an end to her. Others blame it on the death of her mother and a hearty dose of separation from her family. It is just as easy to cast Ka'iulani as a victim of the Winds of Change. History could point a derisive finger at the new player on the international stage—the emergent United States of America, with its own colonial aspirations and a new expansionist policy known as Manifest Destiny. With the Scots and British entrenched in the Hawaiian Islands, but not in significant numbers, Hawaii was to become the Jewel in the Treasure Chest. In 1893, the monarchy was overthrown. Ka'iulani's family friend and 'second father' Theophilus Davies received the news in a telegram, with instructions to pass the word to the princess—Queen Lilui had been ousted. In a recently discovered letter now archived in Honolulu, Davies explained: 'The government is now in the hands of a Council. Mr. Dole is President and Minister of Foreign Affairs.' Then Davies names the men heading a delegation to Washington on behalf of the pro-annexation usurpers: Wilder, Thurston, Carson, Marsden and Castle. A Hawaii governed by Hawaiians was history. Princess Ka'iulani was devastated, but she did not go silently into obscurity. She was embittered knowing the men who had been her father’s erstwhile friends and her family's trusted advisors were the very men who plotted to rob her of her birthright. 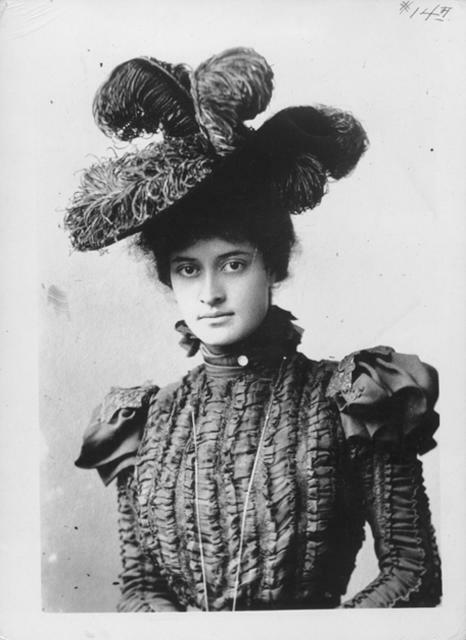 While she was at Harrowden, and then at Brighton, acquiring the education the haoli powers in Hawaii told her she needed if she were to rule, they were plotting with the Congress of the United States of America to make certain she never would. But they had given her the confidence and motive to raise her voice. "Four years ago, at the request of Mr. Thurston, then a Hawaiian Cabinet Minister, I was sent away to England to be educated privately and fitted to the position which by the constitution of Hawaii I was to inherit. For all these years, I have patiently and in exile striven to fit myself for my return this year to my native country. I am now told that Mr. Thurston will be in Washington asking you to take away my flag and my throne. No one tells me even this officially. Have I done anything wrong that this wrong should be done to me and my people? I am coming to Washington to plead for my throne, my nation and my flag. Will not the great American people hear me?" Her words remind one of young Elizabeth R, whom she admired. She had the makings of a queen. Ka'iulani was well received by the American President at the White House. Her efforts convinced him to delay annexation until situations stabilized. Ultimately, her efforts were doomed. Hawaii was too dear a prize to be left Ka'iulani and her mother's people. There were fortunes to be made. When the Hawaiian flag was taken down, deposed Queen Liliukolani asked for its return and was ignored. When outraged Princess Ka’iulani was asked if she would be present at the raising of the American flag, her reply was ascorbic. She returned to England and lived in limbo for four years, devoting her efforts to charitable causes to benefit the native Hawaiian population. In 1897 she returned to the land of her birth. Even when formal annexation became inevitable, she remained a symbol of the pride and resilience of both of her ancestral peoples. She continued to be a vocal Hawaiian activist till her death on March 6, 1899, possibly of rheumatic fever. According to local legend, her pet peacocks on her father’s estate at Ainahua screamed. Thank you for sharing this inspirational life. 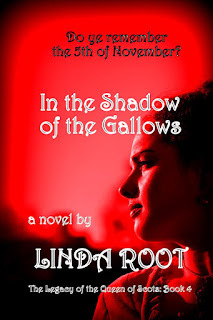 Linda Root is the author of seven historical novels centered on the life and times of Marie Stuart, Queen of Scots, and the early reign of her son James I of England. She is a former major crimes prosecutor and lives in the Morongo Basin area above Palm Springs. She is a member of the California and Supreme Court bars, the Marie Stuart Society, and the Board of the M.m.Bennetts Award. 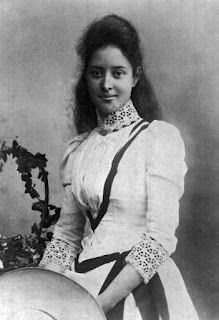 http://www.electricscotland.com/history/women/wh36.htm From Electric Scotland's Women in History of Scots Descent; and http://www.thekaiulaniproject.com/about_princess_kaiulani.htm as well as the Princess Kaiulani Facebook page. 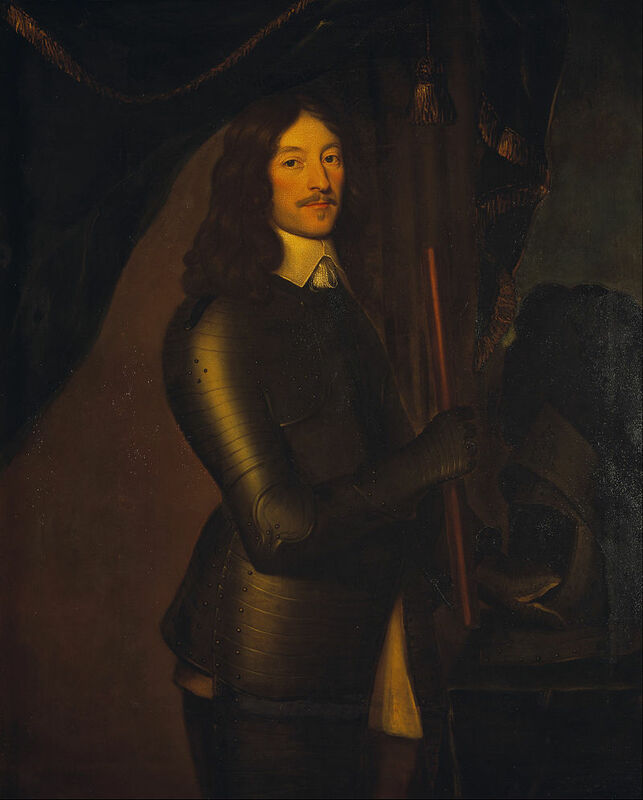 Chances are that if the subject of gallant soldiers during the English – British – Civil War comes up, Prince Rupert of the Rhine gets all the votes. Personally, I am not all that fond of Rupert, however brave and committed he was to Charles I’s cause. 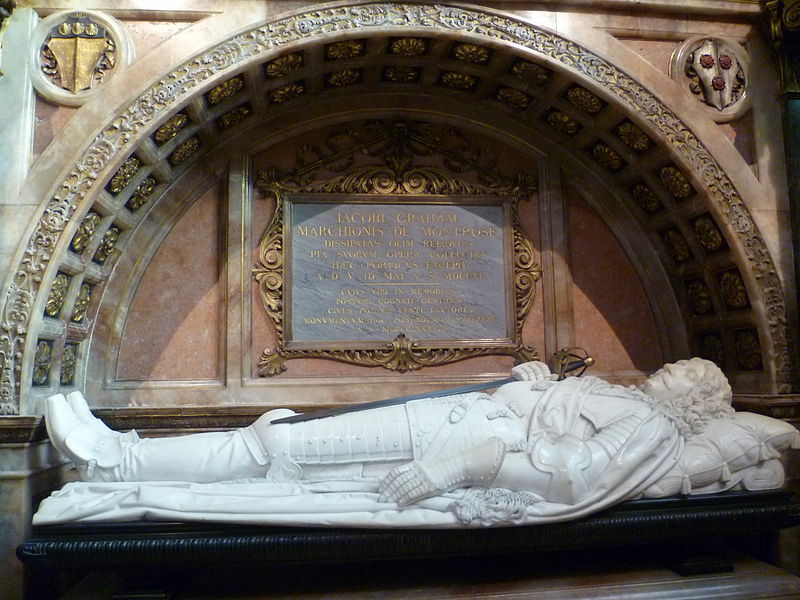 I dare say it may be a contrary streak in me – or, alternatively, it is because my heart fixed at a very early age on another of the royalist heroes, namely James Graham, Marquis of Montrose, who is often referred to as The Great Montrose. Little James was the last – and only son – of the six children born to his parents. He lost his mother when he was still a small child, and in 1626 his father, John Graham, also died, leaving fourteen-year-old James as Earl of Montrose. James was the chief of the Clan Graham, and he was destined to be an influential man in Scotland. By the mid-1630s, James was looking forward to an ordered life, enlivened by the odd heated debate in Scottish parliament. Plenty of time for his growing family and for his more romantic hobbies, such as writing poetry. Not to be – and all because of the mounting tension between Charles I, King of England, Ireland and Scotland, and his subjects. There were various reasons for the strained relationship between Charles I and his people. 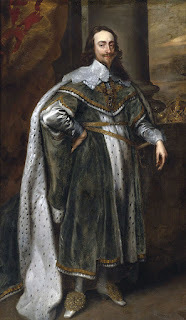 First and foremost, Charles was a firm believer in Divine Right, as per which he ruled by the will of God, and was only accountable to God – definitely not to Parliament. 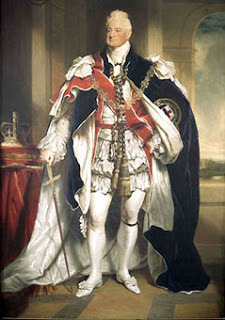 Secondly, Charles perceived himself entrusted with the spiritual well-being of his subjects – which included a major say in how his people worshipped. Thirdly, Charles was a firm believer in hierarchical power constructions – at least within the church – so he advocated a church ruled by bishops (and himself, seeing as Charles was the Head of the Anglican Church). In Scotland, none of this went down well. Specifically, the powerful Presbyterian Scottish Kirk growled in warning. In Scotland, the Kirk was ruled by the General Assembly, had no time for such fripperies as bishops, and as to the ridiculous notion of having the king as some sort of head of church…No: absolutely not. Things might never have come to a head had not Charles I been advised by William Laud, Archbishop of Canterbury and deeply distrustful of Calvinism in all its forms – which included the Scottish Kirk. Laud recommended that Charles play hardball, insisting the Anglican Church had to take precedence. Charles was no fool – far from it – and recognised that imposing the Anglican Church in one fell swoop on the Scots would not go down well. Instead, he aimed for a compromise, an attempt to create a cohesive approach to religion, which is why he presented his subjects with a Common Book of Prayer, a little writ based on Anglican rites and prayers. To the Scots belonging to the Kirk, Anglicans were borderline papists. To the Scottish Highlanders who clung to the Catholic faith, the Anglicans were as horribly Protestant as the Lowland Presbyterians – with the added disadvantage of being English. In brief, no one in Scotland wanted the Common Book of Prayer, and when Charles tried to enforce its use, hell broke loose. (c) City of Edinburgh Council; Supplied by The Public Catalogue Foundation. This, very briefly, is the background to the National Covenant, a document drawn up in 1638 by the Scots which subtly told Charles I to back off when it came to matters of religion – or face the consequences. (For more detail, see this post) Charles was not good at compromising – comes with the territory when you believe you rule by God’s decree – and soon enough he had a war on his hands, as more or less every adult male in Lowland Scotland signed their name to the Covenant, including the majority of the Scottish nobility. One of the signatories was Montrose, not because he was a fervent Presbyterian, but because he disliked the fact that Charles had decided to promote politically powerful bishops in Scotland. As far as Montrose was concerned, temporal power was best left in the hands of the Scottish Parliament and the king. Another of the signatories was a certain Archibald Campbell, future Earl of Argyll. Just like Montrose, Argyll was far from being a rabid Presbyterian – but like Montrose he was a firm believer in Scotland being separate from England in all matters, including religion. Very little other than this conviction united these two men. Where Montrose was tall, dashing and charming, Argyll was neither dashing nor tall – or much inclined to ooze charm. But Argyll was rich – very rich – and as the chief of the Clan Campbell he was a force to be reckoned with – far more powerful than Montrose. Argyll had not had an easy start in life. His mother died young, his father remarried a Catholic lady and decided this new love of his life was far more important than his son and heir, so he converted to the papist faith and departed for Spain and the 17th century version of the Costa del Sol. (Not really: Archibald Campbell senior took service with Felipe III of Spain) Little Archie was left quite abandoned in Scotland, albeit with a guardian to keep an eye on him. His father made over the estates and titles to his son, but granted himself a hefty annual income, which caused considerable strain on the Argyll finances. Once little Archie came into his own (Papa died in 1638) he had his work cut out for him in repairing the damage done to his wealth – and to his family name, what with his father defecting to the papists. Anyway: the whole debacle surrounding the Common Book of Prayer resulted in war, with Montrose capably leading the Covenanter armies against Charles I. At the time, things were pretty straightforward for Montrose: he was defending his country and its unassailable rights against a king who tried to impose foreign practices. While Montrose was off fighting, Argyll was busy constructing a Presbyterian powerbase. Soon enough, the previously so united Covenanters were divided into a faction that demanded Scotland be ruled by the Kirk and the estates, and a more moderate faction who sought some sort of compromise with the king. As the Bishops’ War progressed, Montrose moved towards the Royalist party, torn between loyalty to his country and to his king. Truth be told, he was having second thoughts about the whole Covenanter thing, concerned that too much power was ending up in the hands of the Kirk and men of a most Puritanical bend. Men like Argyll. By now, the temperamental differences between the two men had hardened into personal dislike. 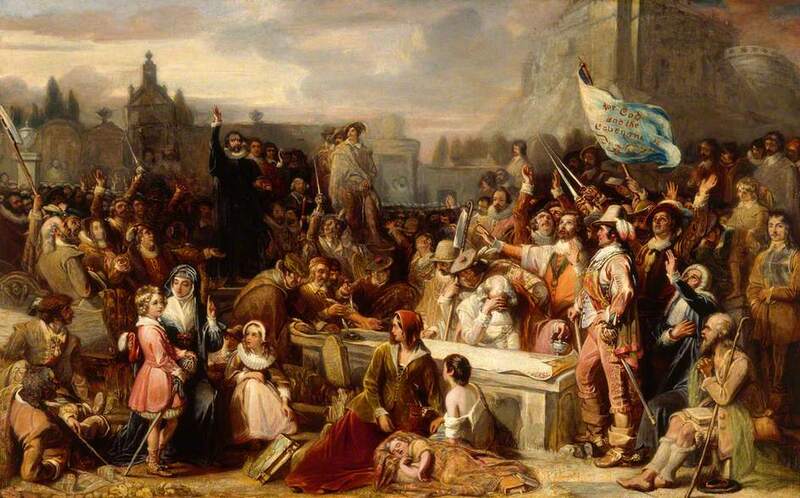 The First Bishops’ War was concluded by the Treaty of Berwick in 1639, at which Charles was obliged to grant major concessions to the Covenanters. Charles, however, had no intention to bide by the terms, and instead planned an invasion of Scotland. Montrose was caught between a rock and a hard place: betray his country or his king? In the event, his loyalty to Scotland won out, and accordingly he was instrumental in leading the troops that yet again defeated Charles. In 1641, Charles decided to visit Scotland – a belated attempt to smooth things over, perhaps? Montrose decided to take the opportunity of ridding Scotland of Argyll, whom he considered dangerously radical and far too powerful. Montrose planned to accuse Argyll of treason before Parliament, but Argyll found out and disarmed the plot by arresting Montrose. Obviously, the two men detested each other, and things weren’t exactly improved when Montrose was appointed Lord Lieutenant of Scotland by Charles in 1644. 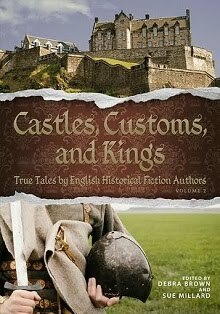 By this point, England had for some years been embroiled in the Civil War, which spilled over into Scotland. Montrose led the Royalist forces, David Leslie and Argyll headed the Covenanters, now allied with the Parliamentarian and Puritan factions in England. Montrose called out the Highlanders who had little love for the Covenanters and augmented his forces with 2 000 well-trained Irish infantrymen. Over the coming year, he led his men to one victory after the other. Mind you, not everything Montrose did was brilliant and honourable, as demonstrated by the atrocities unleashed on Aberdeen in the autumn of 1644. The little town had refused to yield when Montrose asked them to, and when one of the drummer boys accompanying the heralds was shot by a member of the Covenanter garrison, Montrose swore revenge. So when Aberdeen fell, Montrose allowed his soldiers to go on a murderous spree through the town, doing nothing to contain his men as they ravaged and raped, pillaged and killed. At Inverlochy, Montrose destroyed Argyll’s beloved Campbell clansmen and went on to defeat the Covenanter army on several occasions before crowning his efforts by the victory at Kilsyth in August of 1645. Montrose was now effectively in control of all of Scotland, Argyll and his companions forced to flee before his victorious army. It was time, in Montrose’s opinion, to proclaim Charles I as the true ruler of Scotland. Unfortunately for Montrose, the Royalist faction in England suffered a decisive defeat at the Battle of Naseby earlier in 1645. So instead of basking in the glory of his victories, Montrose was obliged to hasten to Charles’ aid, with David Leslie and the Covenanter Army in hot pursuit. The Highlanders deserted en masse, so it was with a substantially reduced force that Montrose faced Leslie at the battle of Philiphaug in September of 1645. What followed was a rout and a massacre, with the grim Covenanters exacting revenge on the defeated Irishmen for Aberdeen. 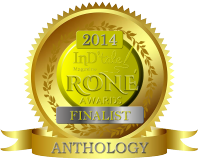 A distraught Montrose escaped, riding for the protective wilderness of the Highlands. In 1646, Montrose was ordered to lay down arms by the captured Charles I. He did so reluctantly and went into exile, but being a restless sort, he could not stay away – especially not after hearing Charles I had been executed. He offered his services to the young Charles II, was restored to the post of Lord Lieutenant of Scotland, and began to plan his return. In 1650 Montrose landed in Scotland to raise an army on behalf of Charles II, but the clans did not rally, and at the battle of Carbisdale Montrose was yet again defeated and forced to flee. He sought protection from a certain Neal MacLeod, who happily turned him over to the Covenanter regime and claimed the promised reward, which was why Montrose found himself transported towards Edinburgh as a prisoner. Charles II was quick to wash his hands of Montrose, eager to comply with the terms dictated by Argyll to recognise him as king, and so a gleeful Argyll was in a position to accuse the valiant and loyal Montrose of treason. The sentence, of course, was a foregone conclusion. It is said that as Montrose was paraded through the streets of Edinburgh, the crowds stood in respectful silence. Likewise, it is said that at some point the cart on which Montrose was seated passed beneath Argyll’s window. For an instant, their eyes met, after which Montrose went on to pass his last night on earth at the Tolbooth. 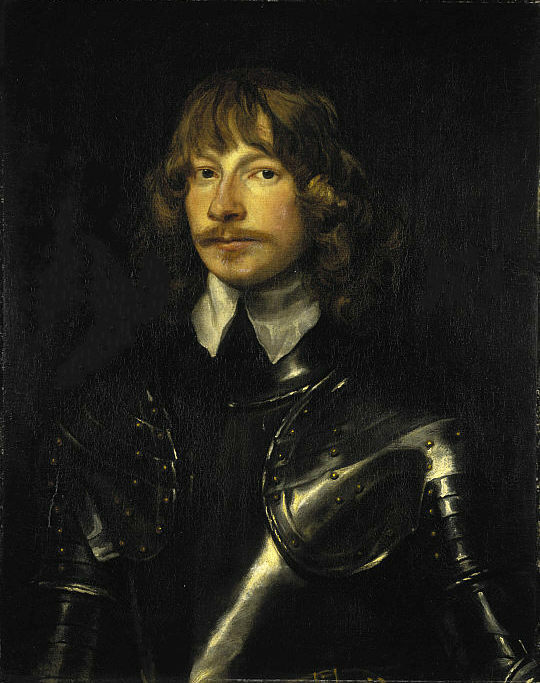 On 21 May of 1650, Montrose met his end with style. Dressed in scarlet and lace, with beribboned shoes, white gloves and stockings, he was taken to the thirty-foot high gallows. He had been forbidden the right to address the crowd, and instead he was bundled up the ladder, had the noose placed round his neck and was shoved off by the weeping hangman. Once hanged, he was quartered, his head affixed on a spike and his torso buried in unconsecrated ground.